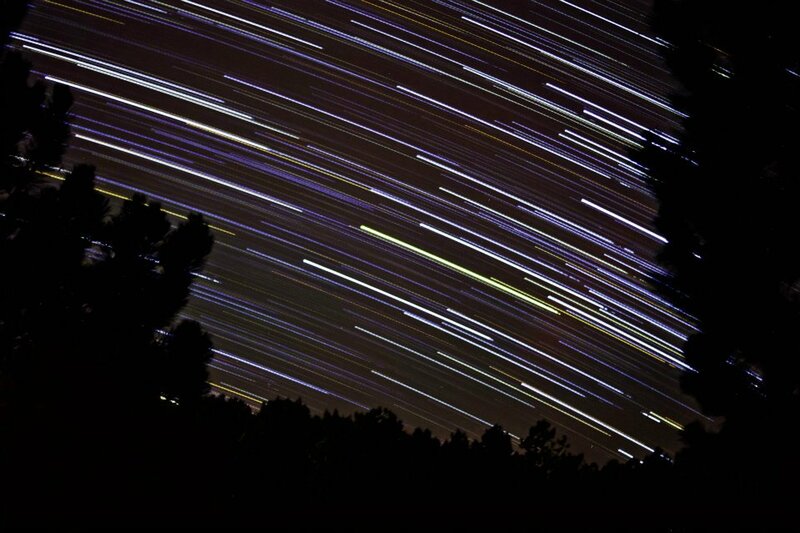 Star trails photo by Kira Roberts. For a long time I thought I was not a creative person because I cannot draw. When I say I cannot draw, it is an understatement. My handwriting is barely legible, my doodles look more like scribbles and I never did like to color inside the lines. What took me way too long to realize though, is that being artistic is only one small component of creativity. I once had a professor ask, “If God created all things but specifically created us in His image, what sets us apart from the rest of creation?” Wow. He went on to briefly explain his belief that animals can be futuristic in instinct, even if only slightly. They can grow and learn from experiences just as we do. However, no other living creature has the ability to create on the scale that we can. Just look at how far we have come since the beginning of time. Technologically, relationally, and creatively we have advanced to a point far beyond any early man or woman could even imagine. If you think about it within this context, we are all creative because we were created in the image of the creator. See, there is really no way to separate my passion for leading a creative lifestyle from my faith because they are so intertwined. Sometimes I think about creativity in two categories: creating something out of nothing and creating something out of something already in existence. Obviously, God is the only one who has ever truly created something out of nothing. However, I think artists, musicians, dancers, carpenters and many others emulate this by turning inspiration and hard work into something creative for other people to enjoy. Photography has become my medium for creating. I would group this in the second category, as I work with an existing person or scene to capture and create something beautiful, whether it is meant to help represent memories or simply be interesting to look at. While many professions and hobbies fit in both categories, the talent to create is nothing short of a gift from God. Using them can even be a form of worship as we use them for the good of the kingdom and reflect all praise toward him instead of us. On a different note, the sometimes hidden key to creativity is grit. Tchaikovsky famously said, “A self-respecting artist must not fold his hands on the pretext that he is not in the mood.” Inspiration cannot be based on mood and situation because more often than not, life is not calm, quiet, passionate or rousing. Typically, it is busy, chaotic and filled with mundane tasks that seem to never end. Charles Bukowski wrote a poem in 1992 called “Air and light and time and space” that I would like to share with you. no baby, if you’re going to create you’re going to create whether you work 16 hours a day in a coal mine or you’re going to create in a small room with 3 children while you’re on welfare, you’re going to create with part of your mind and your body blown away, you’re going to create blind crippled demented, you’re going to create with a cat crawling up your back while the whole city trembles in earthquake, bombardment, flood and fire. Do not wait until you have the time or for the inspiration to come to you. Go now. Because you were created to create.